The residents of Moscow’s historic Melnikov House, architect Konstantin Melnikov's granddaughter Yekaterina Karinskaya and her family, claim they were evicted from their home yesterday following the start of state-backed renovations. Karinskaya told reporters that her husband returned to Melnikov House last night to find the locks changed and a private security firm outside. A notice on their front door stated that the property would be guarded by the security firm and CCTV would be installed. 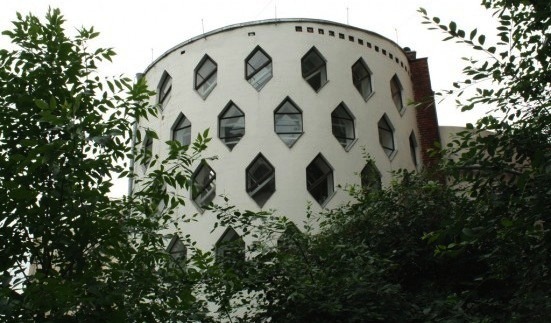 The alleged eviction is the latest twist in an ongoing legal dispute over ownership of Melnikov House, an iconic yet dilapidated vestige of avant-garde architecture in Moscow. Following the death of Konstantin Melnikov’s son in 2006, Victor, the house passed to the state to be turned into a museum. Despite living there, Karinskaya has given her support to this proposal. It is Melnikov’s other granddaughter, Yelena Melnikova, who claims that at least part of the house belongs to her. In March this year, the Ministry of Culture announced that the house is to be renovated and turned into a museum. Built in 1929, Melnikov House marks a turning point in the early days of the Soviet Union’s architectural history and is widely considered to be one of Constructivism’s greatest legacies.